By Rich Wolski, Computer Science Professor, UC Santa Barbara. 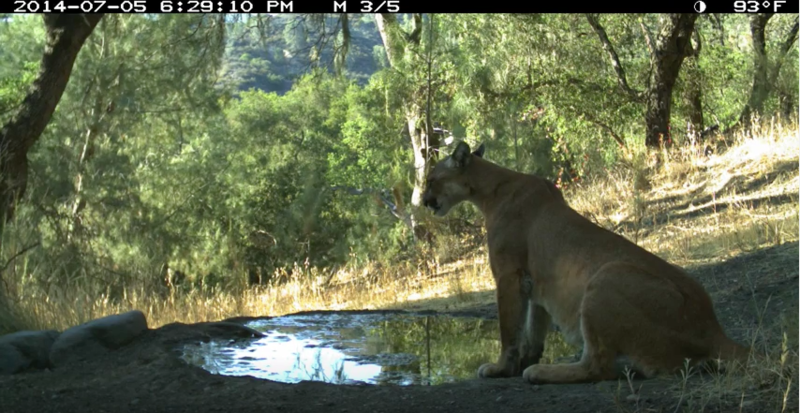 At the Sedgwick Reserve in Santa Barbara County, hundreds of thousands of animal photos are generated each month by remote, motion-detection camera traps. These images are used continuously to determine species population health, the effects of climate and climate change on wildlife, and even local hunting and wildlife management policies along the Central Coast of California. In the past, to use the images, professional researchers and local citizen scientists had to manually classify the hundreds of thousands of images gathered at the reserve each year – a laborious, tedious, and often error-prone task. Now scientists can use a system based on “automated deep learning” and “The Internet of Things” (IoT) to classify the images automatically, saving time and effort. 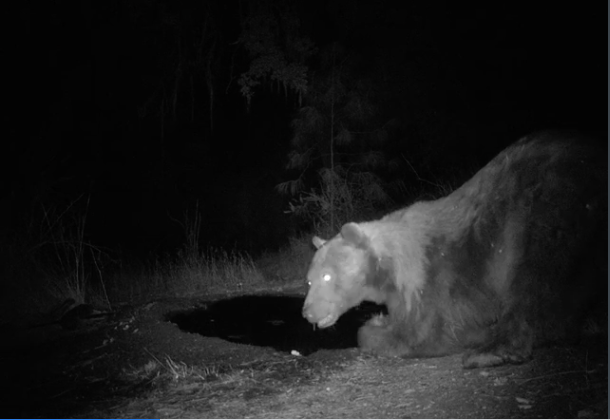 This new wildlife monitoring system is aptly named “Where’s the Bear?” (WTB) and is the work of a team of computer scientists at UCSB, led by sophomore Andy Elias and graduate student researcher Nevena Golubovic and their research advisors, Dr. Chandra Krintz and me. WTB is part of the larger Smart Farm effort (https://www.cs.ucsb.edu/~ckrintz/projects/index.html) at UCSB. WTB uses a resource-rich federation of university campus clouds called Aristotle to train machine learning models to rapidly classify animals in the photos, and in-the-field, resource-constrained “edge” clouds to perform classification near the cameras. WTB accurately identifies bears, deer, and coyotes, and significantly reduces the time and bandwidth requirements for image transfer. 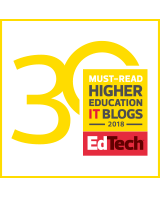 For our students to create systems that have this kind of societal impact they must address several very challenging computer science questions in the areas of IoT, cloud computing, computer architecture, and system reliability. They also have to look at them together, end-to-end, in order to be able to evaluate the research with a working system. Doing so using real-world problems as “drivers” for the computer science ensures both that the results are repeatable and also that the technologies that the science generates are immediately beneficial. However this kind of laborious, empirical research often requires large-scale IT infrastructure specifically designed for multi-disciplinary university research and for this we leverage Aritstotle. The UCSB Aristotle cloud is part of the Aristotle Cloud Federation, a National Science Foundation Data Infrastructure Building Blocks (DIBBs) project that is building a federated cloud model. The initial sites are UCSB, Cornell University, and the University at Buffalo. The goal of the federation is to reduce “time to science” and IT costs by enabling campuses to share cloud resources, data, and software before paying to burst to public clouds. The goal for Aristotle is to be able to provide cloud services to university scientists in a way that better fits the scientific work flow. I believe the public clouds are great if you know exactly what you want to compute or to store, and can pay for it. However, scientists often can’t tell what new idea will trigger a new computing need so they must be able to use whatever capacity is available on a fixed budget very efficiently. Aristotle is the first attempt to design such efficiencies into a federation of clouds dedicated to university-based scientific research.